On this episode of Extreme UTV we are heading to Vegas to test drive the brand new Polaris RZR Turbo S. DISCLAIMER: This is our opinion and ours alone. Polaris did not pay for us to do this review. 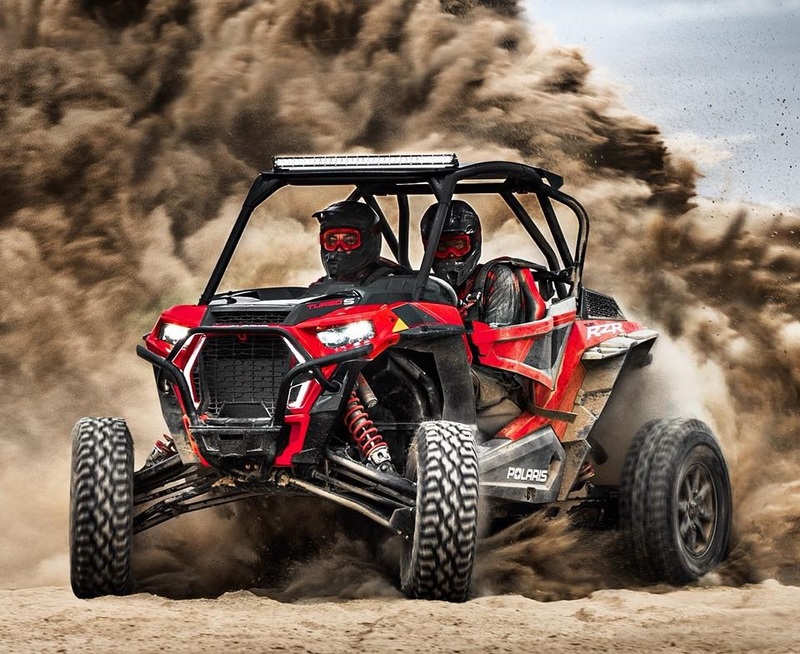 We were pumped when we got the invite to test drive the new Polaris RZR XP Turbo S. This is not just a standard turbo RZR with a long travel kit. The entire RZR has been redesigned from the ground up to handle long travel suspension and massive 32″ Tires. All of the suspension is built stronger and wider. This beast of a RZR is 72″ wide and features the most travel on the market according to the Polaris Engineers. The were pumped to see the massive RS1 diff is used in the front. One of the biggest changes you can see is a better looking cage. Unfortunately it is still made out of the same thin material as the original cages. They do feature 4 point harnesses as stock equipment. You will need to purchase some seat pass thrus as they are pretty much useless without them. We were surprised to see that the engine stayed basically the same with some mild tuning and clutching to handle the larger tires. Come on Polaris in the horsepower war all you had to do was add a few horsepower with a new tune and you could have bragging rights. Now it’s time to talk about the test drive. All in all we pushed this machine to new limits and the dynamix suspension took everything we threw at it. 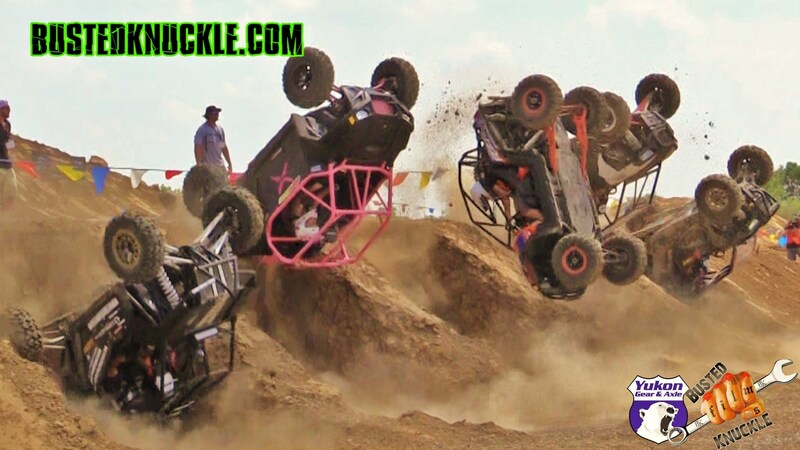 It was faster than my fully built KOH UTV. The 72″ width does takes some time to get used to but is well worth it for the dunes or the desert. Probably not the best for East coast woods racing and hill killing like we do. We were so impressed with the Dynamix active suspension that a regular turbo with that option will likely be our next purchase. If they would have just beefed up the cage, added more power, and had seat pass thru for the harnesses this would be the perfect RZR. With a $27,500 price tag I still think I could build it better for the money. Let us know what you think in the comments. Think one of these New RZRs could do a Backflip? Click the image below to watch the FAIL. 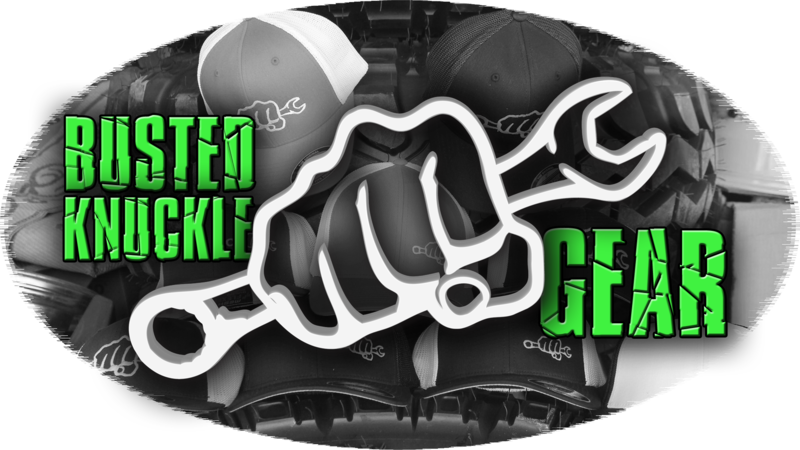 Head on over to the Busted Knuckle Store and get you some Gear.